50 Classic Games 3D (Nintendo 3DS, 2012) Complete, Tested! FREE Shipping! 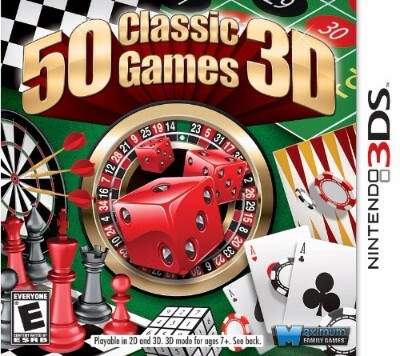 50 Classic Games 3D for Nintendo 3DS / Complete / Tested / Free Shipping!! 50 Classic Games 3D (Nintendo 3DS, 2012) Complete, Tested & 100% Guaranteed!